Looking for a unique counting book? 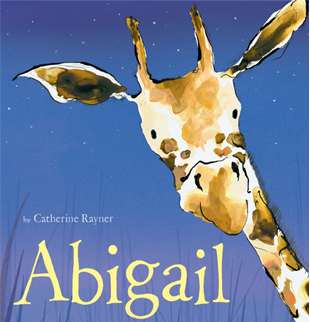 Abigail by author/illustrator Catherine Rayner might just fit the bill. Abigail loves to count. But her friends (Ladybug, Zebra, and Cheetah) never seem to stand still long enough for her to finish. Finally, she finds something to count, but then she learns her friends aren’t so good at counting. What can she do? How many counting books can you own? My suggestion is you make room for one more, because Abigail is worth it. She’s trying to count spots and stripes, but her friends keep moving on her. Then there are more issues and it takes some ingenuity before all three friends get together for some counting fun. The design features giraffe spots on the inside front and back covers, plus there is a special flip up page with a neat surprise inside. Rayner uses warm, soft colors that appeal to the eye and create a calming effect. This would make a nice bedtime book or naptime book. 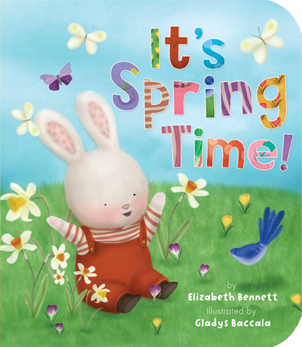 An adorable book about one little girl getting what she needs instead of what she wants. 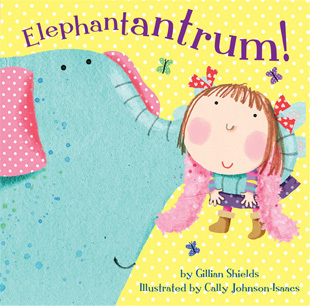 Ellie has everything she wants…except an elephant. The spoiled girl pitches a fit until her father finally gives in. But once the elephant arrives, Ellie doesn’t want it. The elephant takes her things and her friends, and he doesn’t share at all. 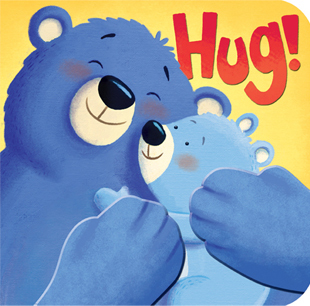 This book has a great message hidden inside a delightful story. The zany and cute artwork by Cally Johnson-Isaacs is a perfect match for Shields’ story of one father loving his daughter enough to give her what she needs. It’s really nice to see the father as the only parent in the story. It’s not often done. Usually if a parent is featured in a story, it’s the mother. And just like Veruca Salt from Charlie and the Chocolate Factory, Ellie learns manners and understanding go a long way. Educational gift giving wrapped up with fun has never been so easy as with this ABC Puzzle and Book: My First Puzzle Set complied by tiger tales. This colorful set comes in a box with a handle and Velcro closures, making it easy to store and bring with you. 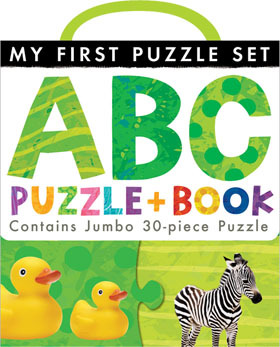 Inside is the My First ABC Book and a corresponding puzzle in a plastic resealable bag. I love the way this book is set up. It has a soft, glossy cover. When opened, the first page is a picture of the completed puzzle in case readers need visual assistance. Each alphabet page in the book is made up of nine squares. The middle square has a big letter and small letter in white text on a black background. There are six blocks that have photographed pictures that match the corresponding letter. In the other two blocks are questions. Example: “What color is the apple?” and “Can you snap like an alligator?” These questions are interactive, making this an even greater learning experience. The puzzle pieces are sturdy and large enough for smaller hands to manage. One side makes all the pictures with corresponding words. The puzzle is reversible, so if made the opposite way, the child has a puzzle with all the upper and lower case versions of each letter in a white font against a green polka dotted background. When my girls were little, these were the types of books and puzzles they loved most. Especially for the Lil’ Princess (now 9), these activities would entertain her for a long time, and she still loves doing puzzles to this day. I swear it’s because she took to solving puzzles early on that she is still engaged by them and finds them easy to put together. This is one of my favorite products from tiger tales. Highly recommended. I received a copy of this puzzle set from the publisher. This review contains my honest opinions, which I have not been compensated for in any way. A delightful story about a group of friends and a rather large jar of honey. 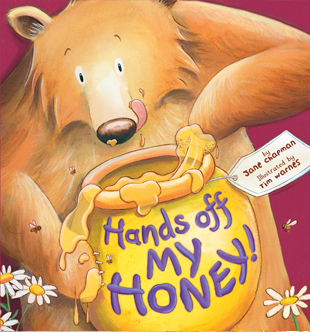 In Hands Off My Honey by Jane Chapman, Bear has a big jar of delicious honey, but he refuses to share. The Rabbit Brothers, Mouse, and Mole plot on how they can get their hands on some before Bear spies them. 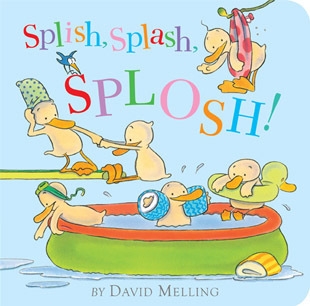 Loved, loved, loved this book. In addition to the fabulous artwork by Tim Wanes, Chapman has created a superb story with a surprise ending. I honestly didn’t see it coming. At first I thought this book would be a message-driven story teaching children how to share, but that’s not what this book is about at all. It’s about friendship and fun. I won’t spoil the surprise for you, but it’s a great one. Many of the action words are bolded so they stand out, just like some of what Bear says is printed in a larger, bolder font to give the impression of him speaking loud. He is, after, all, a Scary Bear. Kids will want to read this one time and again. Highly recommended.